The Uddeholm steel handbook contains all that engineers, tool makers, tool users and purchasers need to select the most suitable products and services. It features lots of useful tools to make your job easier. 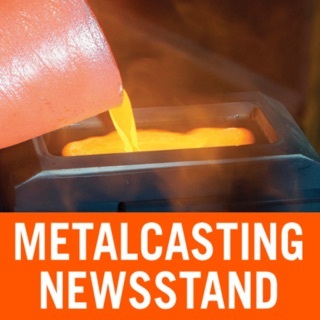 • Productfinder: Find suitable materials based on the steel properties you need. Get brochures, datasheets and more information to see what the steel can achieve. • ROI calculator: Avoid the hidden costs of tooling. 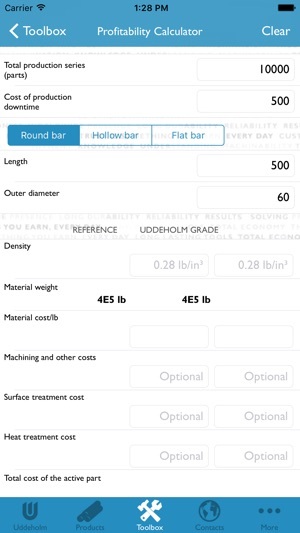 Compare the steel you use today with Uddeholm grades and see how higher quality steel from Uddeholm can increase your total profitability. 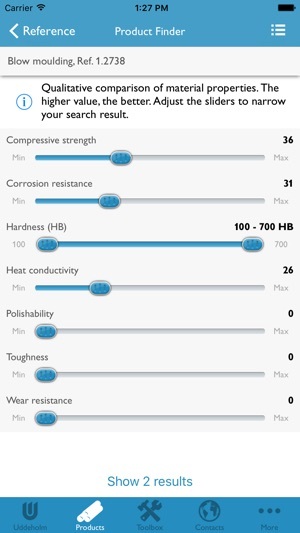 • Weight calculator: Calculate how much steel you need quickly and easily. • Unit converter: Convert hardness, force, weight, length and many more units with the built in unit converter. 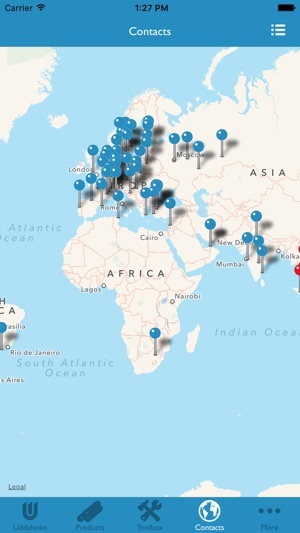 • Addresses: Find Uddeholm offices and partners all over the world. 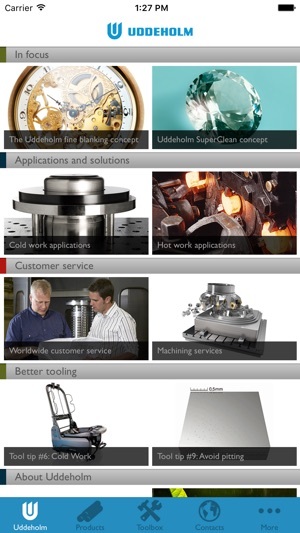 • News and advice: Get the latest news and advice on how to improve your tooling, machining, heat treatment and much more. Don’t settle for less – go for a better steel! 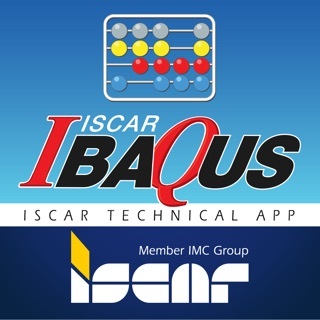 Please note that the app may download the latest content and updates when launched. Documents and movies are downloaded or streamed from the Internet. - The app now uses four times less data, and will start faster and use less bandwidth. - Filtering of products is reworked. - Links are now clickable (in news and product details). - All data is updated.